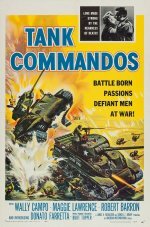 An American demolition squad is sent on a mission to find out how German forces are moving tanks across an Italian river and prevent any further vehicles making the crossing. However, the only person who knows where to look is a young boy. Second World War adventure, starring Robert Barron and Donato Farretta.